In 1456, Ottoman Turkish forces invaded Athens and laid siege to a Florentine army defending the Acropolis until June 1458, when it surrendered to the Turks. The Turks may have briefly restored the Parthenon to the Greek Orthodox Christians for continued use as a church. Some time before the close of the fifteenth century CE, the Parthenon became a mosque (illustration). 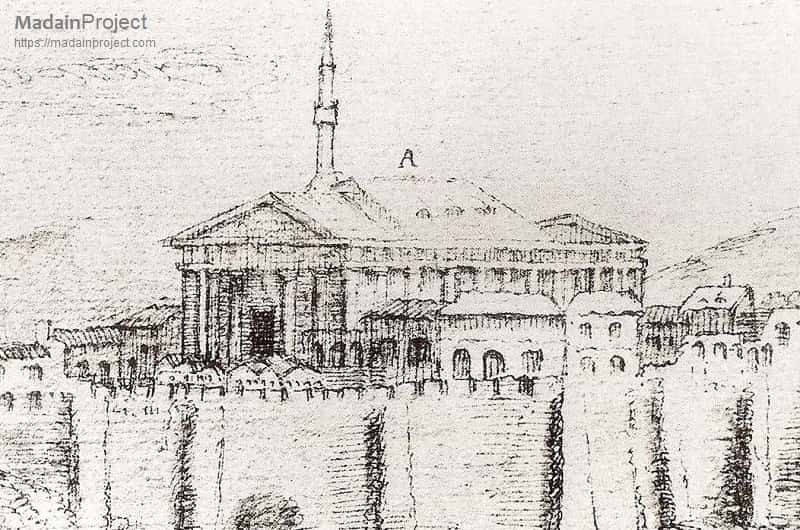 The precise circumstances under which the Turks appropriated parthenon for use as a mosque are unclear; one account states that Mehmed II ordered its conversion as punishment for an Athenian plot against Ottoman rule. The apse became a mihrab, the tower previously constructed during the Roman Catholic occupation of the Parthenon was extended upwards to become a minaret, a minbar was installed, the Christian altar and iconostasis were removed, and the walls were whitewashed to cover icons of Christian saints and other Christian imagery. Engraving of the first photograph of the Parthenon. Daguerreotype photograph taken by Pierre-Gustave Joly de Lotbinière in October, 1839. Engraved by Frédéric Martens. Published in Excursions daguerriennes by Noël Paymal Lerebours in 1841. 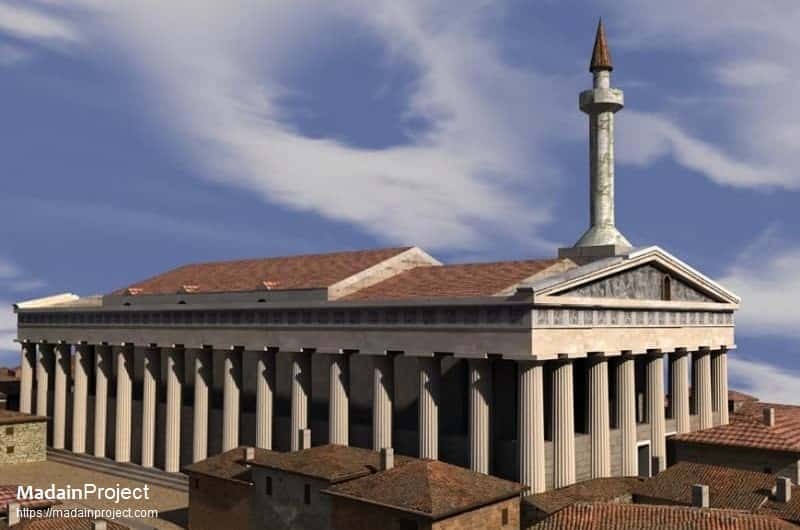 Despite the alterations accompanying the Parthenon's conversion into a church and subsequently a mosque, its structure had remained basically intact. 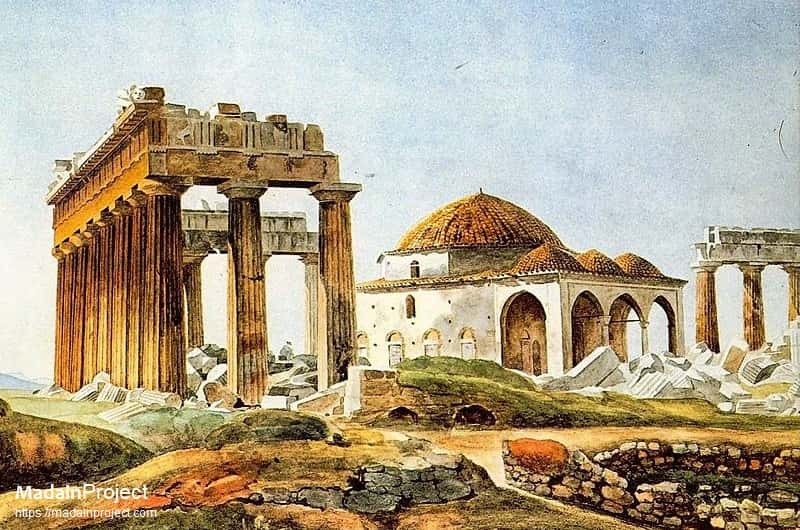 Painting of the ruins of the Parthenon and the Ottoman mosque built after 1715, in the early 1830s by Pierre Peytier. 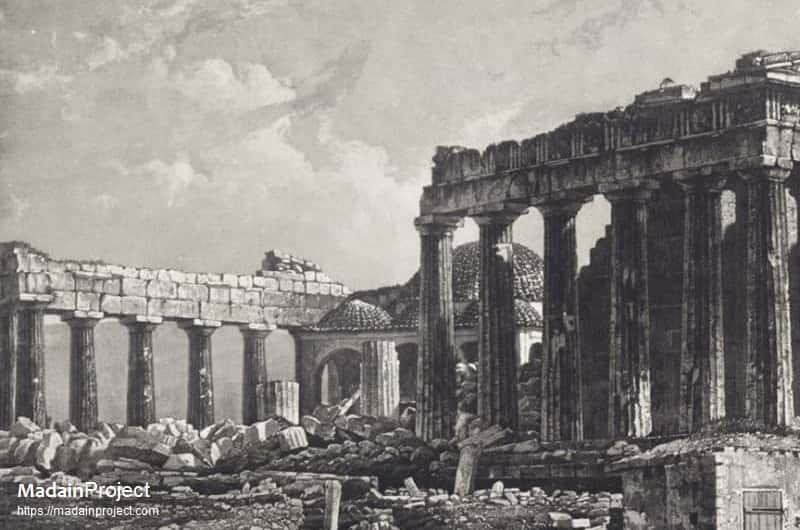 In 1687, the Parthenon was extensively damaged in the greatest catastrophe to befall it in its long history. 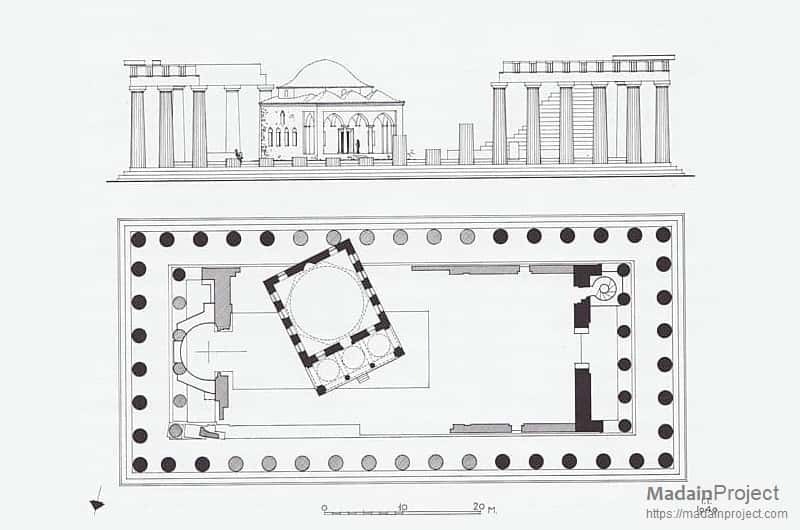 The floor plan of the smaller post 1720 ottoman mosque inside the Parthenon by Dodwell (1805) are taken from the book by John Travlos, Πολεοδομική εξέλιξις των Αθηνών [The Urban development of Athens].